Jay Lively Activity Center will be closed May 13 to May 30 for annual ice and facility maintenance. Work will include ice rebuilding and repairs, facility repairs, painting, and deep cleaning. Questions can be directed to Michael Abeyta, mabeyta@flagstaffaz.gov or 928-213-2343. Come join the fun with year round ice skating and activities! JLAC is a public municipal ice skating rink that has opportunities for the whole family. We offer public skate sessions, open hockey, sticks and pucks, adult only skate, a private party room, as well as being home to the NAU Ice Jacks. 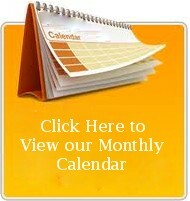 View our monthly calendar or daily schedule to keep updated on what is happening at the ice rink. Wednesday: 11:00 a.m.-2:00 p.m. and 5:30-7:00 p.m.
Friday: 11:00 a.m.-2:00 p.m. and 5:30-8:00 p.m. Hours subject to change please view the monthly calendar for the most up to date schedule.